Blue leather European orthopedic sneakers girls Support blue sneakers for girls with good archesGirls ankle turning shoes for toddlers High arch support new walker shoes for a child.Blue, white and pink smooth leather.High arches present with proper foot suppo..
Blue leather dress bootsSoft leather navy dress shoes for boys Toddler feet that need arch support best orthopedic boots Wide width boys leather high top bootsFoot forming ortho boots for boys.Type of shoes that every baby needs to start walkingThey need best ..
Navy smooth leather boys Fall style European boots. 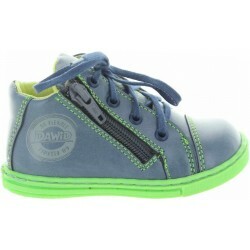 Baby boys high top walkers.Pronation corrective leather boots for kids with weak ankles. Baby boys with best arch support, ankle support and high arch. Made out of nav/yellow smooth leather. Close with..
Intoeing shoes fix for toddlers Flat feet best boots for girl with weak anklesHeel supportive for pronation.Made out of the best quality smooth leather.They are blue with pink star.Flat feet best girls sneakers for weak ankles.Child will not sweat in those sho..
Blue leather European shoes for childAnkle pronation leather shoes for kidsOrthopedic shoes for kids flat feet. Ankle high leather with good heel support. Those shoes have it all - ABC ortho shoes with lovely style.Something that every child would wa..
Blue leather boots for toddler boy.Hard bottom walking shoes for toddlers. Baby first walker boots with ankle support.Toddler boots wide thick feet, wide and high instep best. Hubby feet best best to wide chunky toddler feet. Blue leather with red/black .. Fashion leather shoes for a girl from France on sale. High arch leather shoes for girls from FranceMade by France brand Peache D' Amour. Made out of blue metallic leather. They slide easily on child's foot and close with a single velcro. ..
Blue leather best brand of casual shoes for boysPediatric orthopedic ankle supportive boys shoes.Those shoes feature ankle support that stays in its packetReinforced heel with leather so shoes do not collapse in the back. They are not soft in the back Thus ank..
Blue girls sandals by Lelli KellyArch support best kids sandals for flat feetCute leather sandal with huge fashion statement Sky blue leather and canvas material mix filled with multicolored beads. Beads attached with fish line so they will not fall off..
Geox blue sneakers for boysProper sneakers for boys with ortho support.Good arches, ankle support and velcro close. Will not sweat in those sneakers ever. Proper ankle support for kids. Arches present and all since Geox sneakers are orthopedic. 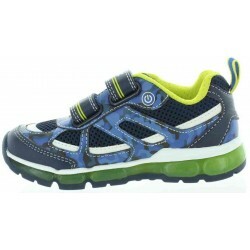 They are s..
High arch shoes that are best for kids best for flat feet and weak ankles. Orthopedic arches present with high support for walking. 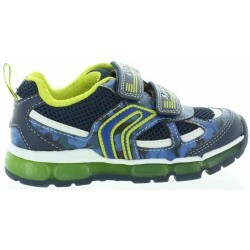 Quality walking shoes for toddler from Europe. Shoes perfect for kids with higher instep.Made out of blue/yellow leather.Easy sl..
Casual blue leather girls shoes with support. Blue patent leather and decorated with a bow. 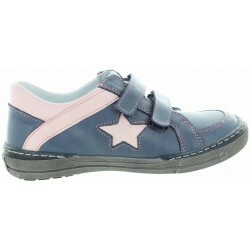 Good shoes for kids with flat feet and ankle pronation.They offer sturdy ankle support and they do not fold in the backAnkle will stay in a packet when child is walking..
Blue leather high tops for toddlers Baby first new walkers best for learning to walk,Soft with proper ankle support for young walkers. Perfect training shoes for a toddler. Easy on and off with zip on the side. Laces stabilize the feet since you can easily adj..
Blue sneakers for kids with leather arches Sneakers for kids store in Australia Made by Italian brand Geox. Made out of navy leather with mesh material. Close with a side double velcro. Excellent orthopedic arch support. Breathable leather innersoles..